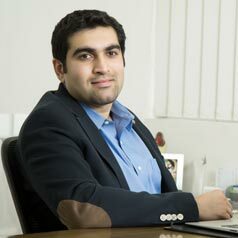 Gaurav Hinduja co-founded Capital Float, a digital lending company, in 2013. Under his direction, the company has grown to become the largest digital lender to SMEs in India. As the Managing Director of Capital Float, he continues to drive leadership in the Fintech space through numerous strategic partnerships with industry leaders in the e-commerce, travel, hospitality and trade segments. Gaurav has played a key part in Capital Float's evolution of becoming the leading digital co-lending model for SME lending. He was the COO of Gokaldas Exports and possesses immense experience in operations and complex supply chain management. Gaurav holds an MBA from Stanford University and graduated from Christ University in Bangalore with a distinction in commerce.